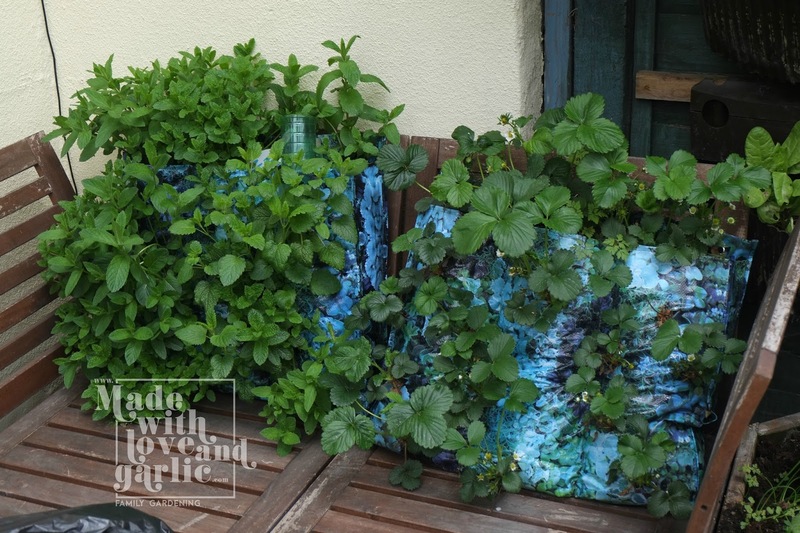 Some time ago I planted up some vertical garden planting bags with mint and strawberries with the intention of fastening the bags to the only empty wall space in the garden. However it turns out that the bags, once planted, are far too heavy to hang on the wall properly, and the bags rip when put up. The result? I have a lovely big sack of strawberries and pineberries hanging (more or less) on one of the sunniest walls in the garden. 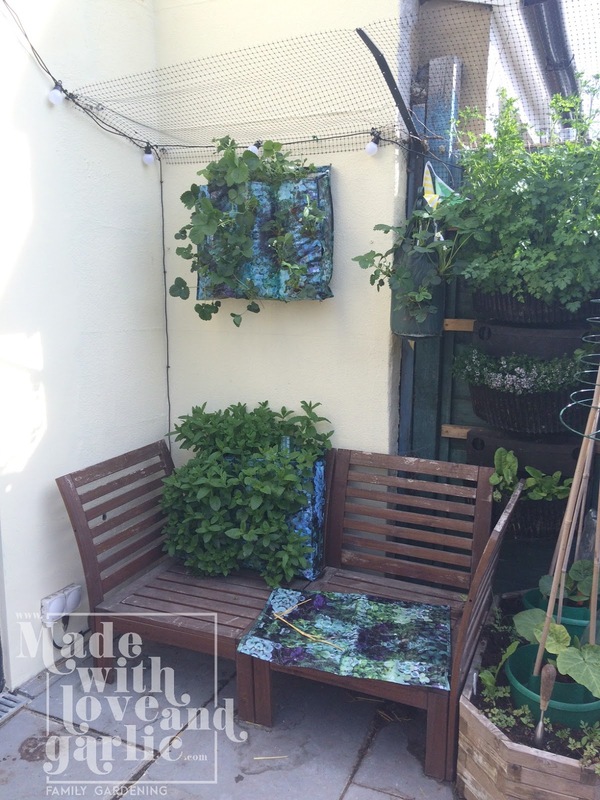 But the downside is that I also have a hanging bag of mint that’s frankly far too heavy to put on the wall but as it’s exploding with herbs I don’t want to throw it out. So at the moment it’s just sitting on a chair outside, not hanging but just taking up space, and I have three more that I’d planned to plant exotic salad in. But given that I now know they rip under their own weight, I think I’m going to have to order some more smaller, rigid wall planters and put those up in the spaces I planned to hang the big bags. I’ll have less growing space than I was hoping, but it’ll be stable. In the meantime I’m going to try to work out something so that I don’t have to waste my bag of mint and the other bags I wanted to plant. Maybe a mobile rail or something? We shall see. But in the meantime, wall strawbs! Hurrah!